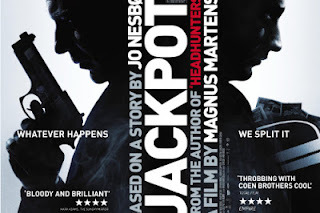 When Kyrre Hellum and his ex-con co-workers go in on a soccer pool ticket together…and then shockingly win an enormous pile of cash, the phrase “No honor among thieves” explodes into sharp focus. Hammers are put to savage use, bodies are fed into recycling center processors and strip clubs turn into shooting galleries. Based on a story by crime writer Jo Nesbo (who also wrote the source material for Morten Tyldum’s superb HeadHunters), blood and beer flow freely in a black comedy cavalcade, with Martens marshalling his superb cast of ne’er do wells and the sharp police detective (Henrik Mestad) determined to unearth the truth, no matter how bizarre it might be. Whatever is in the water up Norway-way, keep drinking it, guys. Skol!